Today I was reading the following passage and decided to publish it. It is not easy for us all, humans, to understand our existence and its purpose. Many of us are confronted with suffering on a daily basis, either personally or through the media. Either way, it affects us deep inside even when we are not aware of it. Our life experiences affect our beliefs and our goals in life. 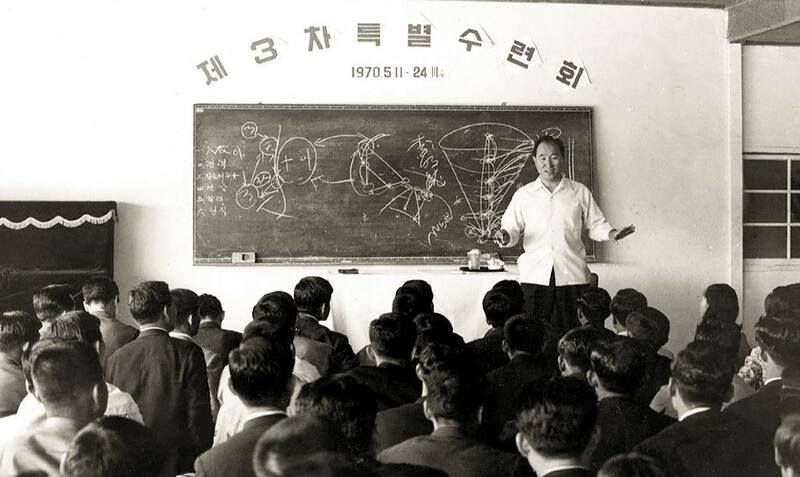 The following reading is from a book titled, "Sermons of the Reverend Sun Myung Moon" book 3. The date is September 15, 1957. This is not God's desire. The wish that God has is for humankind to set all the conditions of restoration and bring to pass the one day when they can call God "True Father." God has been wished for this for 6,000 years. Therefore, you have to understand that God is working hard for this earth. He has been battling for the sake of this earth while crossing an unspeakably miserable course. Now we must attend this Father. We must reflect upon ourselves, before the eternal Father, whether we are leading selfish lives in the position of an enemy. You who have come searching for the path of ordeals that others avoid! You who have been found after 6,000 years of Heaven's work! As sons and daughters of the True Father, you have to take on the Father's unfinished tasks. You must become the representatives of Heaven who can fight against Satan, even until the end of time. Moreover, for this sake, you should be able to completely present yourself to the Father and say that you can inherit a new mission. In your mind you must envision each step taken by the Father. Even if you cannot take responsibility for all of the Father's suffering and worries, you must be able to attend the Father in your hearts. What then is the source of the bitterness and grief of God? Christianity today thinks that God dwells in glory, but this is not true. If humankind does not believe in and support Him, then God's will cannot be realized. This is the reason even now God anxiously longs for humankind to fulfill their responsibility. Therefore, you must establish the heavenly laws on this earth, actualize the heavenly kingdom of glory, and materialize God's eternal ideal of goodness in this universe. No matter how hard God tries to fulfill the will, He cannot do it alone. Moreover, Satan cannot stand in the position of goodness, no matter how hard he tries. Unless humankind saves him, he has no choice but to remain in the position of evil for eternity. This is not true with men. They can become glorified before the Father. On the contrary, they can also stand on the side of Satan and confront Heaven. If I end my post with no additional comments, it is on purpose. I do not want to convince anyone about my faith; I simply want to make everyone curious and aware of its existence.